It’s that time of the year again! Every year for that one night you and your best friends gather for the best night of your lives. It’s the weeks that work up to this special day that matter the most. Shopping for shoes, picking out the perfect prom dress, and planning your limousine for dinner. 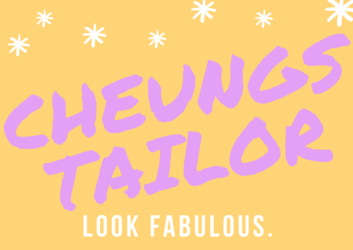 Well at Cheung’s Tailor Alterations we have been so thankful the past 25 years to have served thousands of prom goers from prom dresses, to tuxedos, and matching custom garters! The styles keep changing and we know that every dress may need a small amount of tailoring so if you see the perfect dress and there is just something simple needing fixed bring it in and we offer free consultations on ways to make it fit the way you have imaged! So many places for shopping for a prom dress, though it may be a one night event may it memorable and look your best. Prom Dress Tailors dress custom work. Most of our clients who need alterations also have something in mind. May it be adding custom rhinestones, Swarovski crystals, or Redesigning the Prom Dress Tailors Dress we do it all. Bring in your ideas and materials and we can do our best to help you!